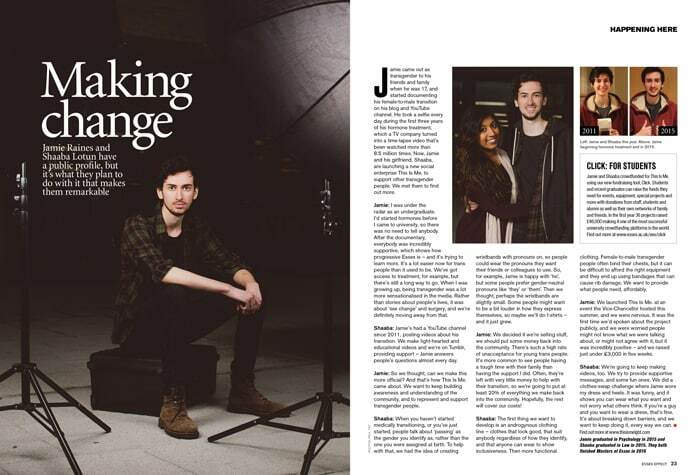 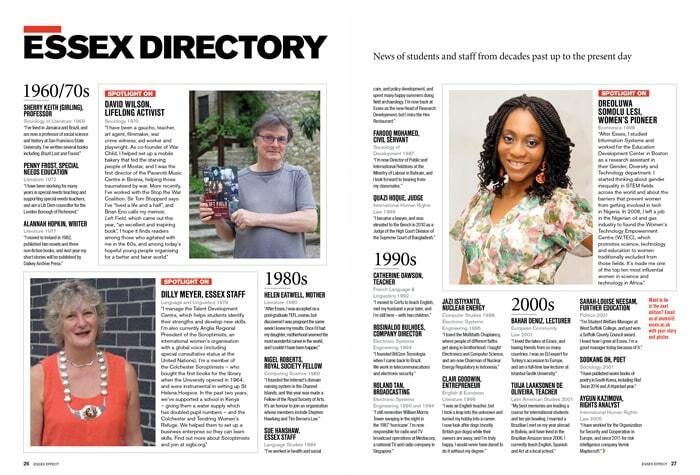 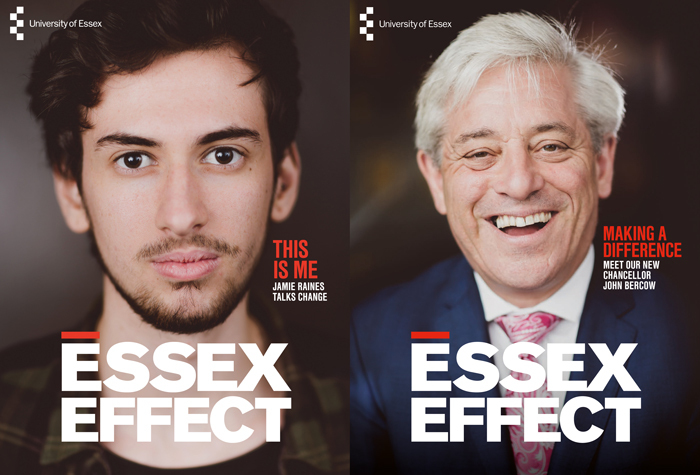 Tenacious, bold, challenging: the University of Essex community have traditionally never accepted the status quo. 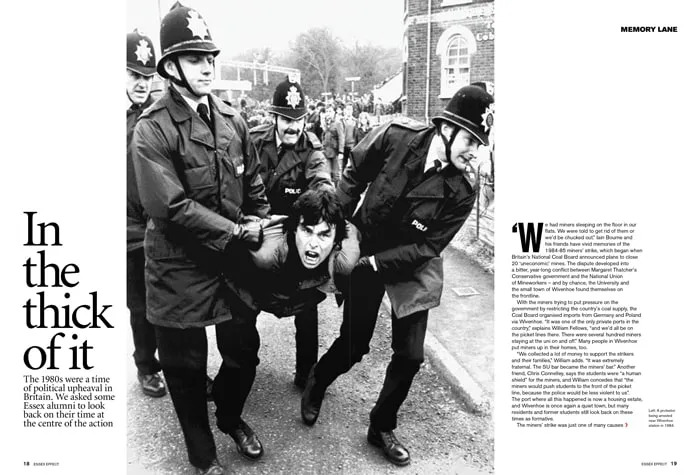 From pioneering research which informs social change, to student activism which began in the 1960s, and continues to this day. 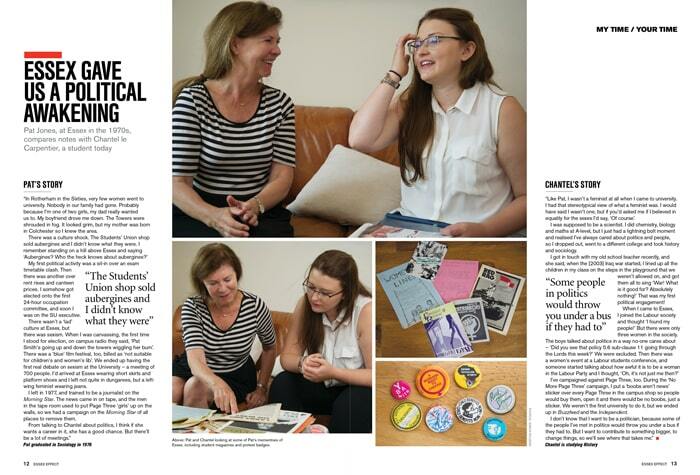 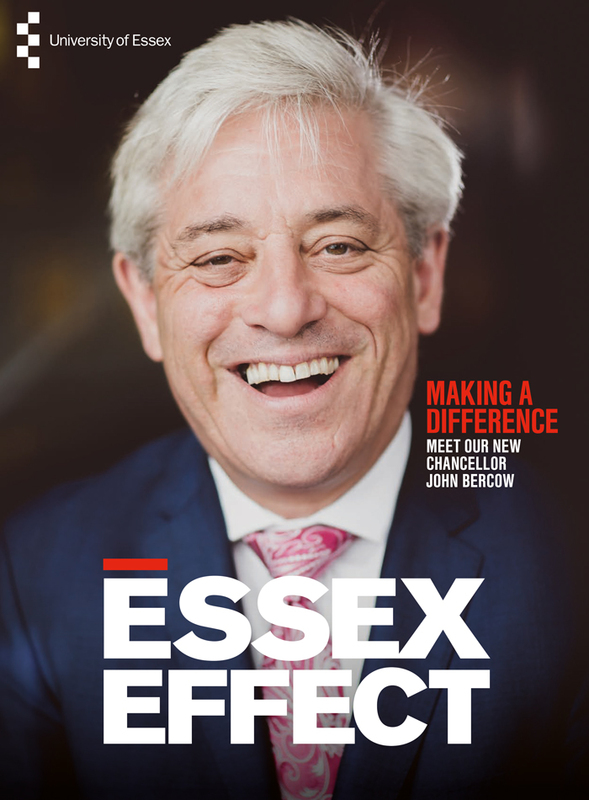 The objective of the magazine was to engage with the wide age range, and diverse interests of the alumni readership – whilst taking on board the strong and evolving Essex brand and ethos. 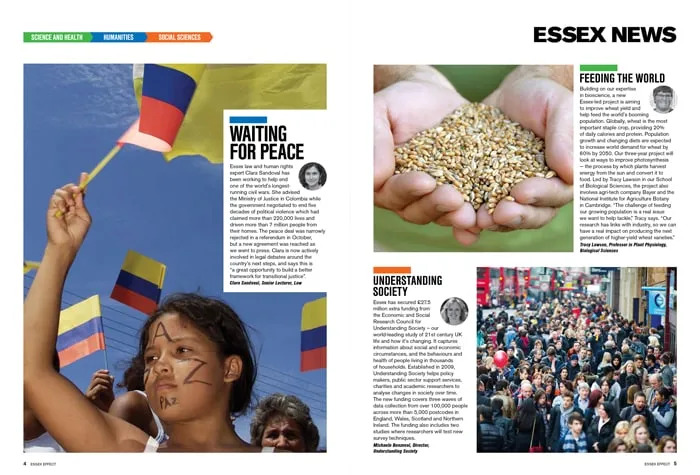 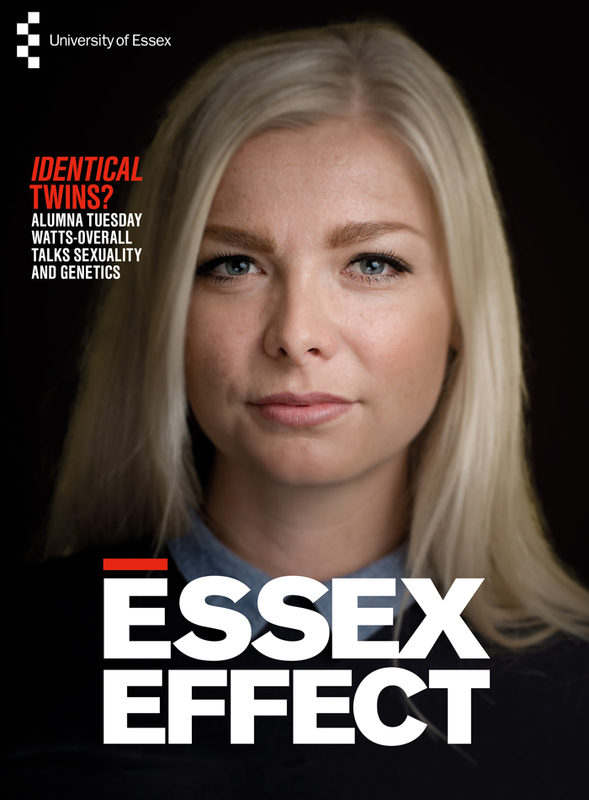 In 2017, Essex Effect magazine won an International Silver Awards from Case in the magazine redesign category. 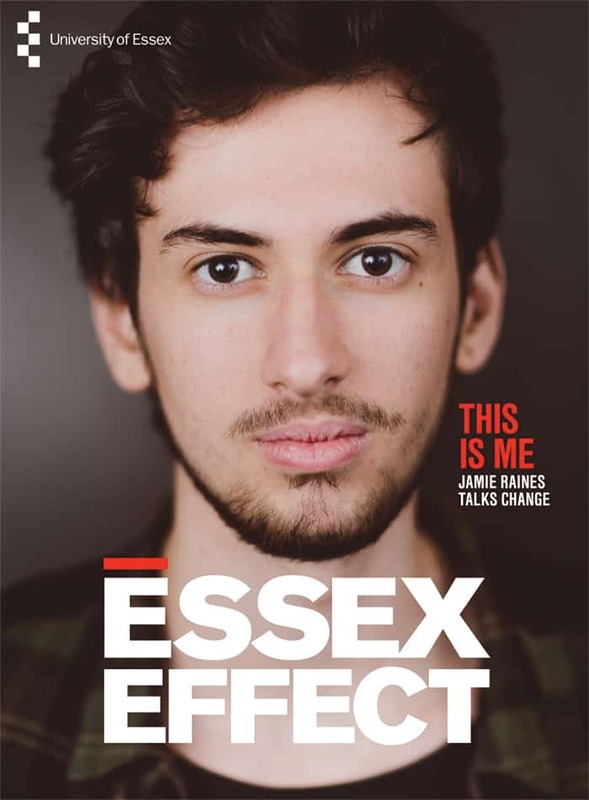 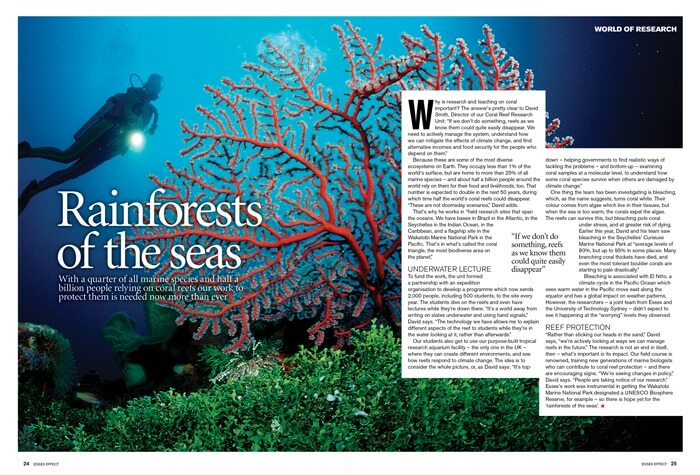 Shown here are the 2016 and 2017 editions of the magazine.